Happy World Monkey Day, friends! 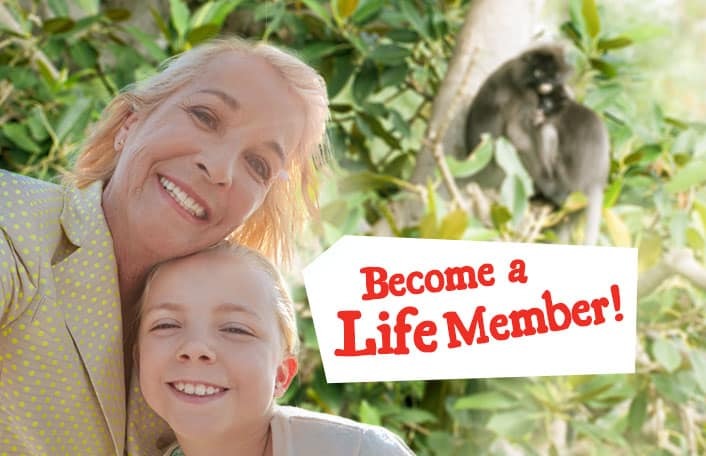 Adelaide Zoo is home to pretty big family of monkeys… 41 individuals across eight different species to be exact! And we’re absolutely thrilled to have welcomed some adorable baby monkeys to the zoo over the last 18 months, including a gorgeous baby Mandrill, a tiny, bouncing baboon, and three super cute Golden Lion Tamarins. 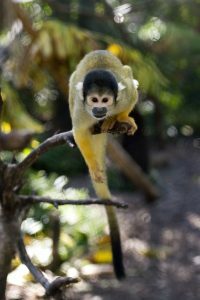 Did you know that Bolivian Squirrel Monkeys spend 70 to 80 per cent of their days foraging for food? And we thought we were always hungry! These cheeky little guys love eating fruity snacks, but when fruit isn’t available they can survive solely on insects and other small animal prey. Unlike most animals, Cotton-top Tamarins don’t actually leave their treetop homes to drink. Talk about room service! Instead, they lick moisture and dew off the leaves of the trees in which they live. This is because it’s too risky for them to make their way down to the forest floor, lest they’re eaten by a hungry predator. 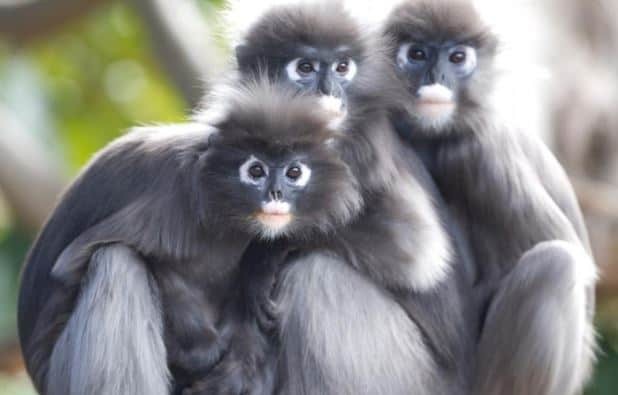 Also known as the Spectacled Leaf Monkey because of the white rings around its eyes, the Dusky Leaf-monkey has a trick up its sleeve when it comes to finding a meal in its forest home. This monkey has a specialised stomach in which chemicals are able to break down unripe fruit, giving it the first choice of available food and a distinctive advantage over other forest-dwelling competitors. This little tamarin is known for its long, white moustache that droops around each side of its face. 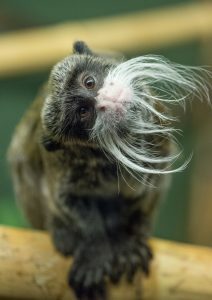 This is the reason behind the monkey’s name – its impressive facial hair was thought to bear resemblance to the moustache of Emperor Wilhelm II of Germany! 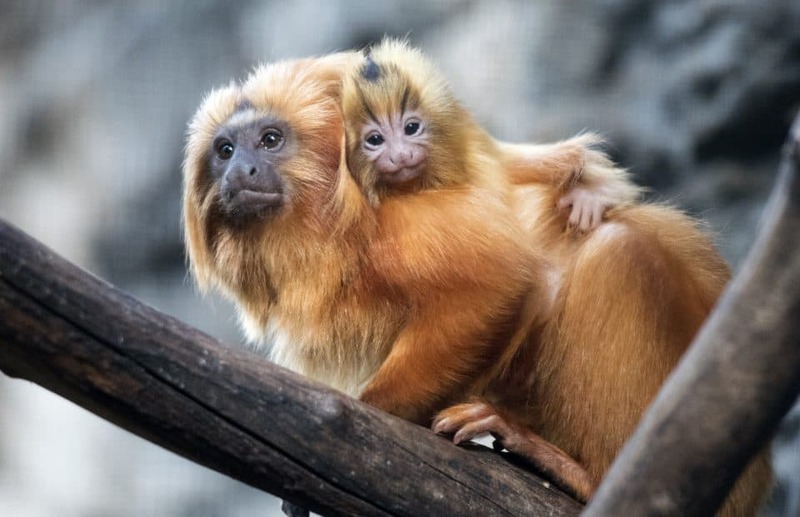 While one baby at a time may seem like enough for many parents, did you know that Golden Lion Tamarins usually give birth to twins? Luckily these tamarins are incredibly social animals, so the babies’ older brothers and sisters often step in to lend a hand with the caring duties! Did you know Hamadryas Baboons were considered sacred animals by ancient Egyptians? These monkeys were seen as representatives of the Egyptian god of learning, Thoth, who was often depicted as a baboon. To honour this species’ revered history, Adelaide Zoo’s resident male baboon is fittingly called Horus. While Mandrills are known to be the largest monkey species in the world, weighing up to 36kg, they also lay claim to being the most colourful! 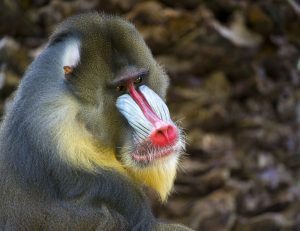 With their bright red noses, long, blue cheek ‘flanges’, and a brilliantly coloured blue to purple rump, our striking Mandrills are definitely something to behold! Pygmy Marmosets hold the title of smallest monkey on the planet, only weighing up to a tiny 141 grams – less than a block of chocolate! While this may make them an easy meal for some larger animals, this clever species avoids predation by living out of reach high up in the forest canopy. As well as all of these cheeky monkeys, Adelaide Zoo is also home to a number of great and lesser apes, including White-cheeked Gibbons, Siamangs and Orangutans. 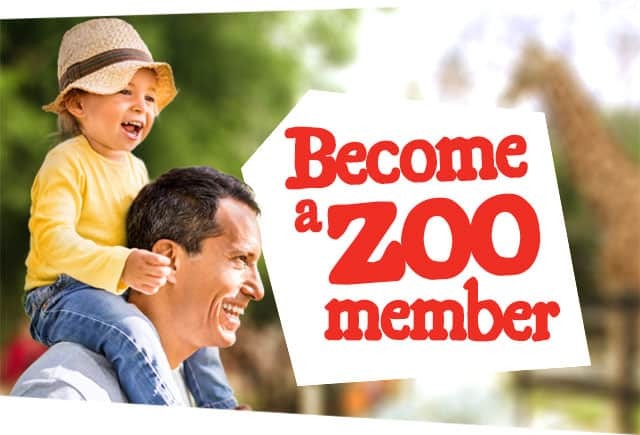 So swing into the zoo today to visit the whole wild family!